Description Play this match-3 and tower defense hybrid and see how many waves of enemies you can outlast. 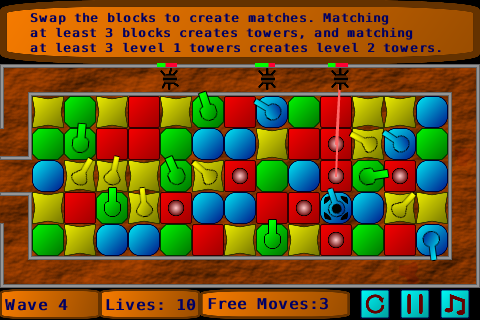 Controls Use the mouse to select and move blocks. Optional keyboard shortcuts are M (mute), R (reset), and P (pause).